Toyota of Newnan is the car dealership in Newnan, Georgia that you can rely on for a wide inventory of new and pre-owned Toyota cars, trucks, and SUVs, plus great financing options for putting you behind the wheel of your new car today. We’re not just determined to help you find the right new or pre-owned Toyota vehicle for your needs, but we also want to help you keep it safe and comfortable for years to come! That’s why we’re here to give you the information you need to know on servicing and maintaining your car. A few little changes, fill-ups, and checks today can make all the difference tomorrow. There are many reasons your vehicle may need to come into the shop for basic maintenance and repairs. The car’s age, original parts, driving environment, and daily use all factor into the service your Toyota Camry, Toyota Highlander or Toyota Prius may need. You’ll want to keep an eye on your car battery, as it can lose up to half of its efficiency in extreme temperatures. Belts and hoses should be checked regularly for wear or leakage. Fill your fluids including coolant, power steering fluid, and brake fluid, as they run low and get your oil changed and tires rotated on a regular schedule to ensure your car is running as smoothly as possible. You can trust the service team at Toyota of Newnan for award winning service and genuine Toyota parts. 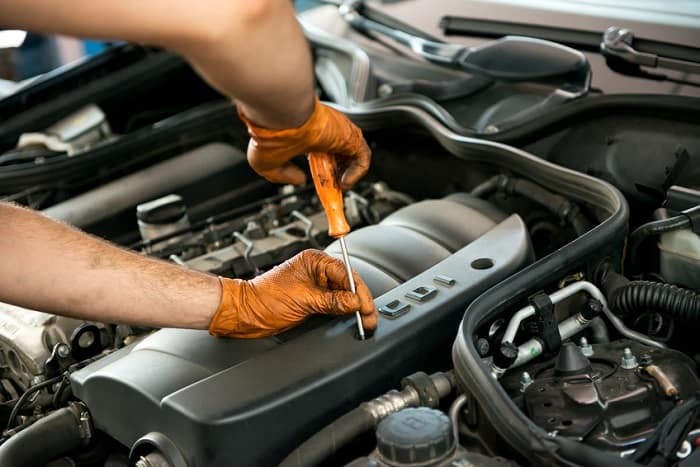 We provide a wide range of services and repairs such as general maintenance, air conditioning and heating systems, brake repair, and transmission services. Our customer lounge is comfortable and relaxing with refreshments and Wi-Fi so you can sit back and relax while our team gives your car the care it deserves. With our great specials on service and parts, affording the proper advice and maintenance for your vehicle has never been so easy. You don’t need to take our word for it! Whether you’re on the search for a Toyota Sienna or for great service and car care every time, Toyota of Newnan is here for you. We look forward to helping you find the right vehicle and keeping it in the family for generations! Don’t wait—visit us at 2 Herring Road in Newnan today!